Bell Tents are well made, water proof, good looking but most importantly, they are already up when you arrive! 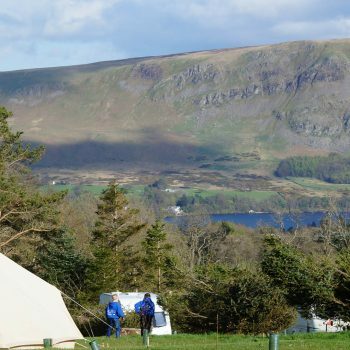 With no tent to erect or pack away your holiday could just have become a lot less stressful. 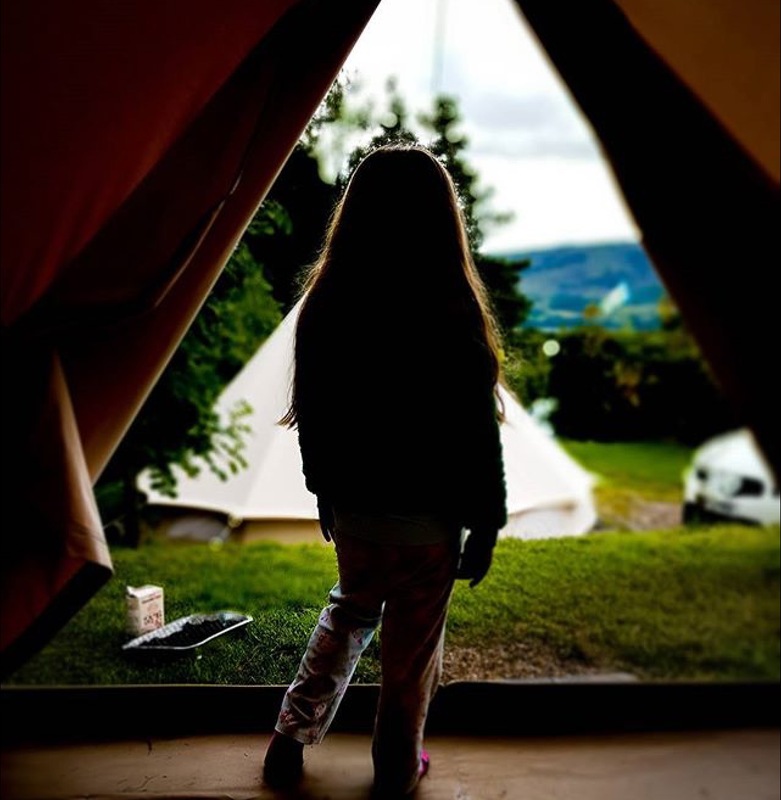 Each Bell Tent has plenty of headroom and ample space for up to 2 adults and 4 children. 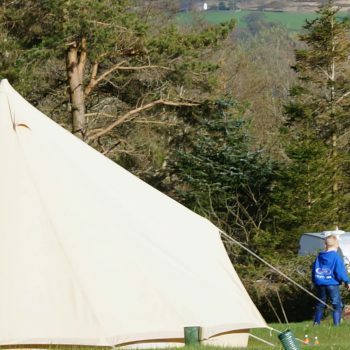 The Bell Tents are designed to accommodate the variable British weather with ample ventilation for the hot days. All you need to bring is your camping gear – minus the tent. 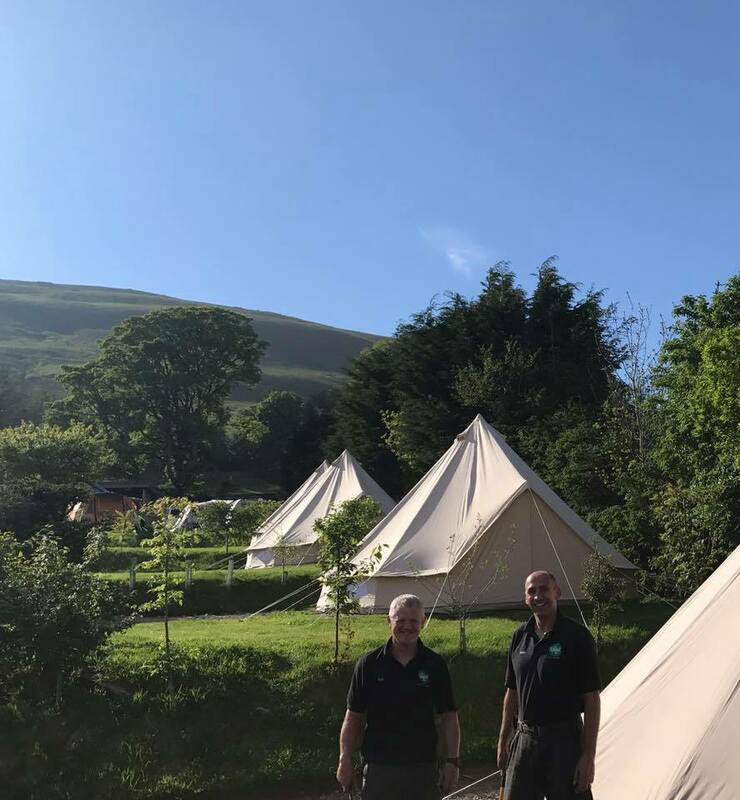 The Bell Tents are completely empty on arrival. 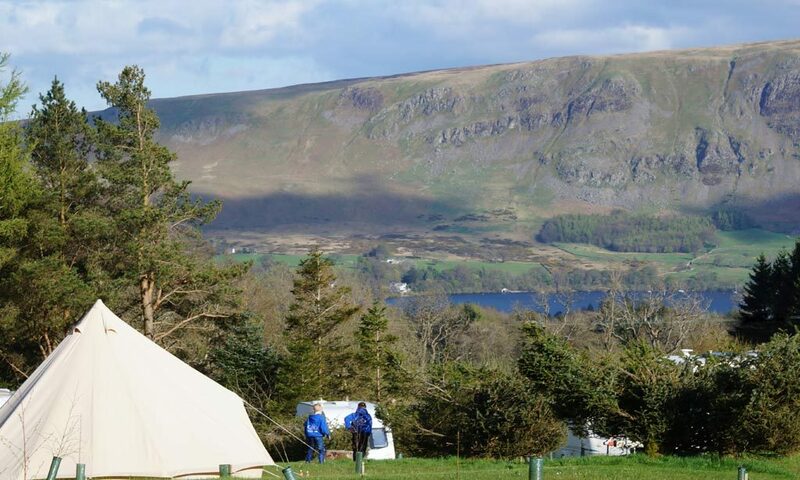 Those staying in Bell Tents can take advantage of all the other site facilities. Unfortunately, we are unable to accept dogs in the Bell Tents, sorry. What does it cost? 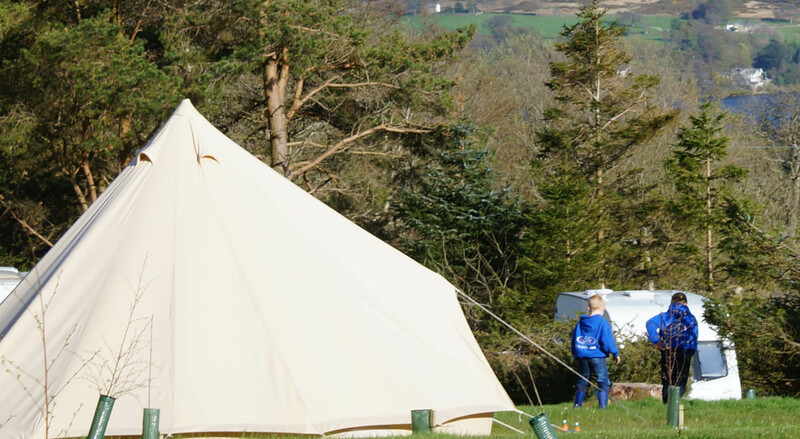 One night’s Bell Tent camping costs from £40 to £65 per night for 2 Adults and 2 children. Available from Spring Bank to September. Bell Tents come with an electrical plug socket for charging phones etc and mains lights.